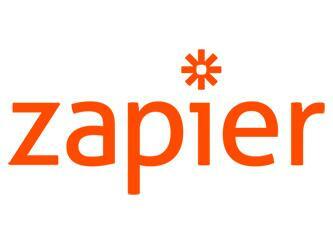 Before exploring Zap templates, please take a look at the article explaining how to integrate Zapier with Operate, in case you haven't done so already. What is a Zap Template? A Zap template is a pre-defined and curated example of an automated workflow. It allows you to propose recommended use-cases, and provides users with a guided setup experience including pre-filled options and fields so they don't have to create them from scratch in the Zap Editor. Zap Templates ca be embedded in your app. Enable swift email communication with prospects throughout the sales cycle. When a new lead is created in the Operate platform, it is automatically added as a subscriber on Campaign Monitor. Your marketing team can kick off an automated nurturing campaign. Keep your prospects engaged. When a new lead is created in the Operate platform, it is automatically added to MailChimp as a subscriber. This makes it easy to engage with prospects via email throughout the sales cycle, providing useful information and incentives. Maintain an intact, 360-degree view of your tenant and member accounts. When an account is created in Salesforce, it will automatically be created in the Operate platform. Managing licenses, membership plans, check-ins, renewals then becomes very easy from within the Operate platform. Provide a great experience for your event participants from the minute they register - confirm their registration, provide useful info and invite them to your member portal with ease. When someone registers to one of your events via Eventbrite, a new lead is created in the Operate platform, allowing you to effectively manage and interact with the prospect. Work with intact, accurate lead, contact and account information by keeping your marketing databases in sync. When a new contact is created in HubSpot from your social media or online campaign activities, it is automatically added as a lead in the Operate platform. You can then manage various customer lifecycle stages from the Operate platform - convert to opportunity, account, assign licenses and provision services. Keep your pipeline management in sync for easy reference and reporting across platforms. When a new deal is created in Hubspot CRM, an opportunity is created in the Operate platform. You can then create and account, start allocating licenses and provisioning services from the Operate platform. Keep your marketing databases intact and in-sync. You can use the Operate platform for your lead-generation and lead-capture activities and Husbspot for sending out email campaigns to prospects and customers. When a lead is created in the Operate platform, it will be automatically added to HubSpot with all the corresponding information associated to it. Never miss an opportunity to interact and start nurturing a lead. When you add a new contact in Office 365, it is automatically added as a lead in the Operate platform so that you can start building a profile, providing personalised content and offers. Keep your centre manager, sales and marketing teams up-to-date with the latest meeting room and desk bookings. Ensure they can offer a personalised experience. Once a new meeting room or desk booking is added in the Operate platform, relevant teams will get a personalised notification in a dedicated Slack channel. Enable your team to react quickly to changes made to meeting room or desk bookings. When a prospect, customer or a team member updates an existing booking, relevant team members will be notified on Slack via a channel message. Enable your sales team to react fast to leads that come in via your website, web-to-lead enquiry or tour booking forms, lead brokers. When a lead is created in the Operate platform, a personalised message is sent to a defined Slack Channel. It makes it easy to provide a great experience.